Are we teaching our children when they’re ready to learn? Our education system demands that children have to start school in a certain window of time. The law states that a South African child may start school at the age of five-and-a-half, provided she turns six by June 30 of her Grade One year. A child must start school by the year in which she turns seven. If children seem ready before the prescribed age, they may be denied entrance to school. Others may be forced to begin formal schooling because they meet the age requirements. How wise is this approach? Are all children exactly the same in terms of learning readiness or interest in learning? Added to this is the fact that in many instances, children are being expected to begin formal learning before Grade 1. Government schools are now teaching reading skills to pre-schoolers even though there is neurodevelopmental evidence to show that its more efficient to teach them to read at an older age. It seems that any advantage from learning to read earlier is cancelled out in later years. An overly crowded curriculum means that young children might struggle to keep up with work that once was designed for higher grade levels. Failure to cope is seen to be the learner’s problem rather a deficiency of the curriculum. The result is that some children are feeling stressed, anxious and inadequate. This is wrong because they don’t have a problem. The problem is that they are not ready to learn what they are being taught. There are very fundamental skills that need to be in place for a child to meet the demands of Grade 1 and beyond. For example, a child needs to be able to see and reproduce the oblique line in a triangle to recognise and write letters like K and R. They need to have an understanding of numbers to really understand adding and subtracting. What pre-schoolers need is the freedom to play, albeit it in carefully designed environments. This allows them to develop the basics for those key skills. They don’t need to become proficient in reading and writing. Brain development makes it easier to learn virtually everything (except foreign languages) as we get older. As adults, perhaps you have looked at your child’s schoolwork and wondered how you, at the same age, found such seemingly simple work as being challenging. Rushing academic teaching may neglect ensuring that basic skills are well embedded in children’s neural networks. There are always exceptions. Some children are ready to learn and manage school-based tasks at a younger age than others. Some of them go on to starting post-school studies in their early or middle teens. We are, however, concerned with all children and many, especially from our disadvantaged communities, are simply not equipped to deal with accelerated learning practices. Replacing fundamentals with academics won’t help our failing education system. Reference: The Self-Driven Child: The Science and Sense of Giving Your Child More Control Over Their Lives by William Stixrud, Ph.D., and Ned Johnson, published on February 13, 2018, by Viking, an imprint of Penguin Publishing Group, a division of Penguin Random House, LLC. One compelling reason to get children moving more than our current lifestyle allows, is the fact that movement stimulates the brain to produce important chemicals. One of these is known as ‘brain derived neurotrophic factor’ – BDNF – which has been described as ‘fertiliser for the brain.’ Each time a muscle moves, this miraculous chemical is secreted that not only helps brain cells to grow but also protects our vital neurons (brain cells). This is a reason why movement is widely acknowledged to be crucial to healthy thinking (cognition) and school success. Movement begins in utero – and is actually assisted by the mother’s own movements. A healthy, active mother helps her child’s developing brain long before the birth. Moms who are obliged to stay quietly in bed for health reasons need to think about what movements they can make in bed without danger to themselves and their developing baby. For example, if your doctor allows it, gentle rolling from side to side in bed is useful, as is gentle, slow rocking forwards and backwards and from side to side in a sitting position. After birth, movement continues to be absolutely vital. We know that infants raised in institutions where limitations are placed on movement and human contact have many neurological conditions. It isn’t just the lack of loving touch – the absence of enough movement opportunities can also delay or impair brain development. This is why we don’t advocate the use of baby seats, walkers, swings and too much time strapped into car seats, supermarket trollies and the like. 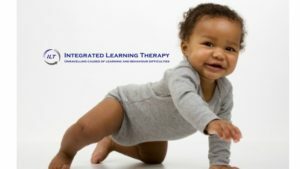 Infants need tummy time and freedom to crawl as much as they want to. Encourage climbing, tumbling, rolling and spinning with toddlers and plenty of outside play with older children. Perhaps it makes sense to remember that movement is largely processed in the cerebellum, or ‘small brain’ at the base of the larger brain. This is the same area where memory and learning is processed. An underdeveloped cerebellum can affect long- and short term memory, focus and concentration and spatial perception. And because it is also responsible for coordinating our movements, an underfunctioning cerebellum can be seen in children whose movements seem awkward or clumsy; who struggle with gross and fine motor coordination and more. Diet helps the benefit of movement. The secretion of ‘miracle grow’ BDNF mentioned earlier may be suppressed by diets high in sugar. A low-sugar diet combined with plenty of exercise supports brain development and can help bring about significant improvements in academic skills. The good news is that we know these days that the brain is not ‘cast in stone’ by a certain age. It remains plastic and can be moulded throughout our lifespans. This ‘brain plasticity’ can be used to benefit children whose brains haven’t developed optimally for whatever reason. Knowing which movements are important for brain growth and health goes a long way towards helping a child overcome earlier handicaps. From virtually the moment of conception, human genes dictate that we will move. The earliest movements we make are not deliberate but are automatic reflexes. These ‘primitive’ reflex movements are truly magic because they help develop the brain. Each time you feel the baby moving inside your uterus, you can celebrate, knowing that those movements are laying down the patterns of neural pathways that serve to connect the different brain areas. These are the pathways that are vital for learning, behaving appropriately, forming healthy relationships with the people in our lives and enjoying emotional well-being. They also help develop ability to control the body, muscle tone, good integration of information coming in from the different senses and survive the early months of life. At birth, our brains are far from completely developed so we depend on primitive reflexes to help us enter the world and then keep us alive. For example, the Moro reflex is a reaction to being startled. This reflex produces cortisol and adrenaline to help activate the birth process. Then the Asymmetrical Tonic Neck Reflex (ATNR) comes into play, helping the foetus twist down the birth canal during a normal birth. After we are delivered, the Moro reflex triggers our first breath and permits us to straighten out after months spent in the foetal position in the uterus. After birth, the sucking reflex allows the mouth to take in nourishment and swallow, while many others are present to help in other ways. Slowly, these early reflexes are integrated as new ones take their place. Each reflex appears in a crucial time, does its important job and is then replaced in order for higher development to happen. Ultimately, primitive reflexes are replaced by so-called postural reflexes which allow us to crawl and then finally to walk. Problems can be experienced later on if these primitive reflexes are not absorbed or integrated. Retained reflexes can cause emotional problems, timidity and fearfulness, attention problems and learning difficulties, depression, sensory disorders, lack of confidence, tantrums, bedwetting, fidgeting, thumb sucking and many of the challenges often seen in children. Unfortunately, children with learning, behavioural and emotional issues often fail to be helped. This is because the symptoms they show are treated, rather than being helped to overcome the underlying causes of their problems. There are many reasons for reflexes to remain present and not be integrated. Included in these are the diet and general health and emotional well-being of the mother during pregnancy. Traumatic birth events including Caesarean birth and the use of instruments can interfere with amongst others, the Moro reflex. This has the domino effect of interfering with the integration of all the reflexes that should follow, setting up glitches in brain development that can persist for years. When several unintegrated reflexes persist, normal tasks that are taken for granted by most of us become difficult if not impossible. When children experience sensory integration disorders, vision and listening challenges, extreme shyness and lack of confidence, ADHD, learning challenges and developmental delays, it is time to look for help. Reading and writing difficulties, language and speech delays, disorganisation, fidgeting and lack of focus all may be signposts to the need for reflex integration. The good news is that it is not difficult to integrate reflexes by helping the child with a movement programme. Certain movements replicate the earlier movements that somehow failed to achieve reflex development or integration, so by showing a child different movements, we give the brain a second chance to reorganise those all-important networks needed for efficient functioning. Movement is magic! Even more magical are the improvements seen in children when they are given the chance to overcome early setbacks in their development. 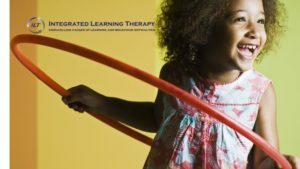 If you suspect that a child may have unwarranted challenges in coping with home and school demands, you should seriously consider a neurodevelopmental assessment. Stressed children may complain of physical discomfort, for example, headaches and tummy aches. If doctors find nothing wrong, do consider fear and anxiety being possibly part of the reasons for these complaints. For example, Jan began to refuse to eat breakfast and said that he didn’t want to go to school.All of this started when his father left to work overseas a month or so ago and the stress of the separation caused his symptoms. Boys especially may show disturbed and disruptive behaviour.Adults may label his actions as being naughty or undisciplined but it is worth looking for other causes too. 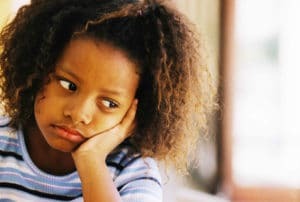 Other children may react to stress by withdrawing and being quiet.Their stress is difficult to spot because even their parents may not notice they have problems. Most children have difficulties talking about their mental stress. They don’t have the vocabulary or the ability to translate strong feelings into words.Conflicting emotions and thoughts make it even harder for them, for example, when they experience anger, jealousy, hostility and unhappiness with their parents, siblings or other people. 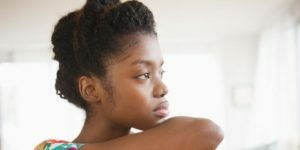 Sometimes the cause of stress in children may be the parents themselves.These days, children are aware of the high rates of divorce so parental conflict may make them scared of a parent leaving them. While it may be healthy to argue superficially in front of your children (and so model conflict resolution), personal attacks on each other should be avoided and conflict over parenting styles or how to care for children should be private. For example, Bettie’s parents often quarreled over her upbringing and schoolwork. She resorted to stealing sweets from the local café in an attempt to distract her parents from their frequent arguments. Unfortunately, they misinterpreted her behaviour and punished her severely. Should you notice that the child’s ability to lead a healthy, normal life has been affected. Stress in childhood can create much distress for not only the children but also for those who care for them. Severe stress left untreated can delay their physical, psychological, social and intellectual development. This in turn affects their ability to function in their daily life and may lead to underachievement at school and beyond. Content of this post was based on information in the book ‘Help your child to cope’ by Dr C Yiming & Dr D Fung.